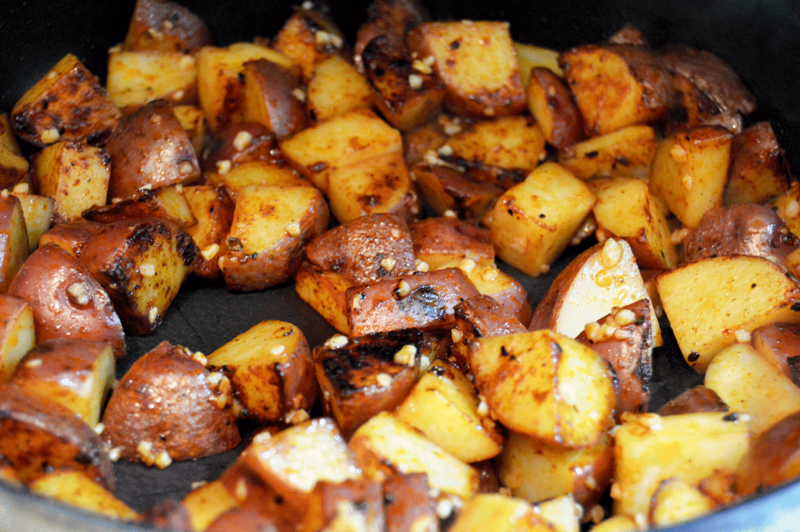 These tasty tubers are so easy, you'll never want to eat anyone else's home fries but your own. In fact, I'm fairly certain these potatoes are a good part of how I managed to snag my boyfriend. Literally, these potatoes will make people fall in love with you. Use at your own risk. Full disclaimer: Individual results of making others fall in love with you varies per person. Wash and chop your potatoes. 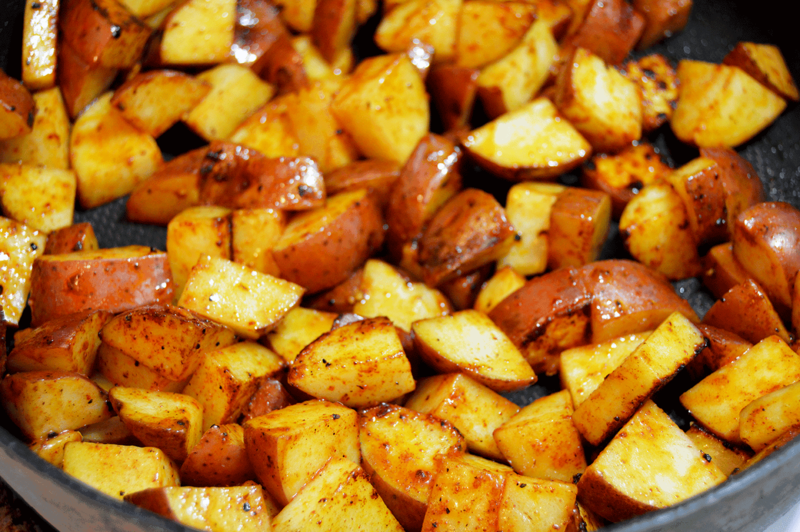 Heat the oil in a large pan over medium high heat while you chop your potatoes. When ready, add the potatoes to the pan and saute in the oil for about 30 seconds. 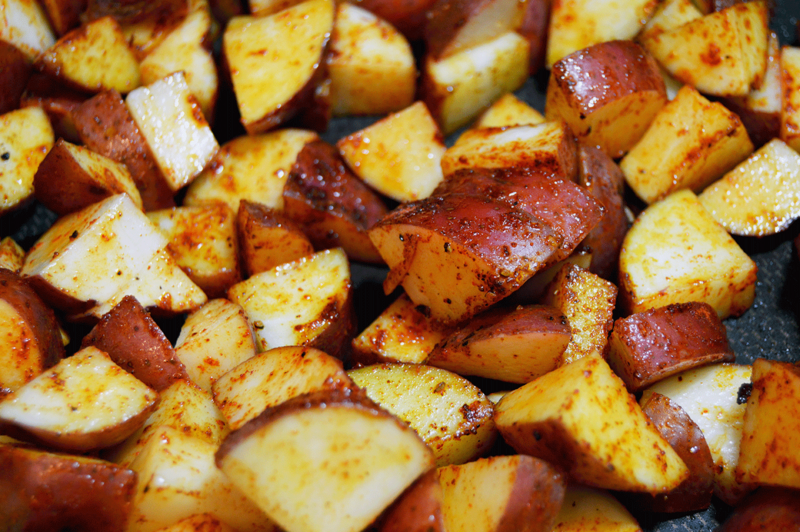 Be sure that all of the potatoes are covered in oil before you add your paprika, garlic powder, and salt and pepper. Occasionally flip the potatoes until every side is beginning to brown. Add the garlic now. Then reduce heat and cover for about 10-15 minutes or until the potatoes can easily be cut in half with a spatula (or whatever you were using to stir and flip the potatoes). 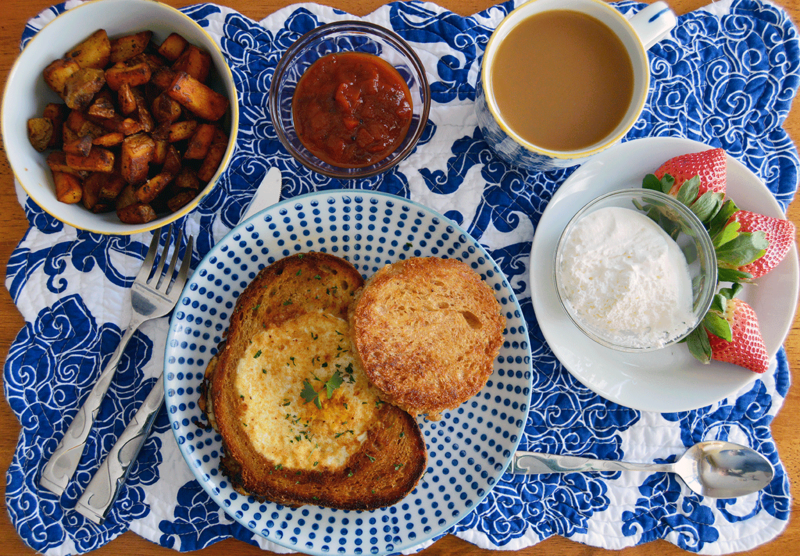 Serve immediately alongside some toads-in-holes, fresh fruit, and depending on how hungover you are, either a large glass of ice water or a big ol' cuppa coffee. Wash and chop your potatoes while you heat the olive oil in a large pan over medium high heat. Add the potatoes to the pan and toss gently to cover all the potatoes in oil. Add the paprika, garlic powder, and salt and pepper. 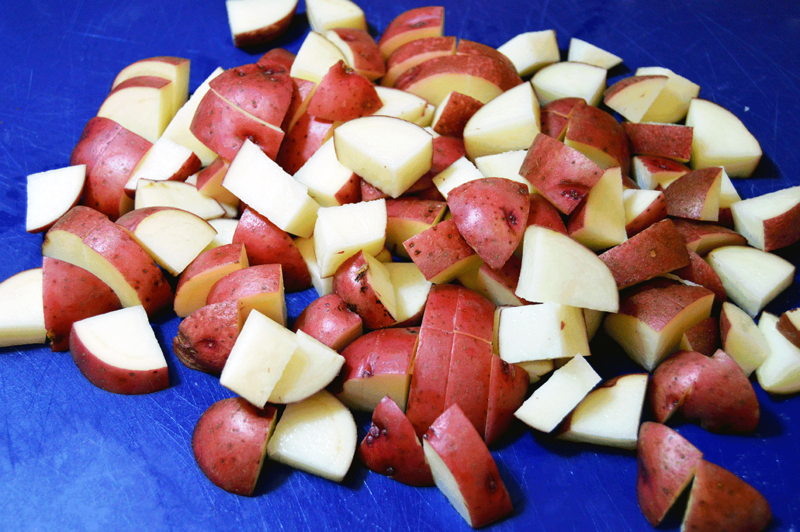 Allow the potatoes to cook until browned on each side, or about 5 minutes. Add the minced garlic and saute another 2-3 minutes. Serve alongside toads-in-holes, fresh fruit, and big cup of coffee! Enjoy! Keep up with The Starving Chef on Facebook for weekly challenges, fun recipes, and more. 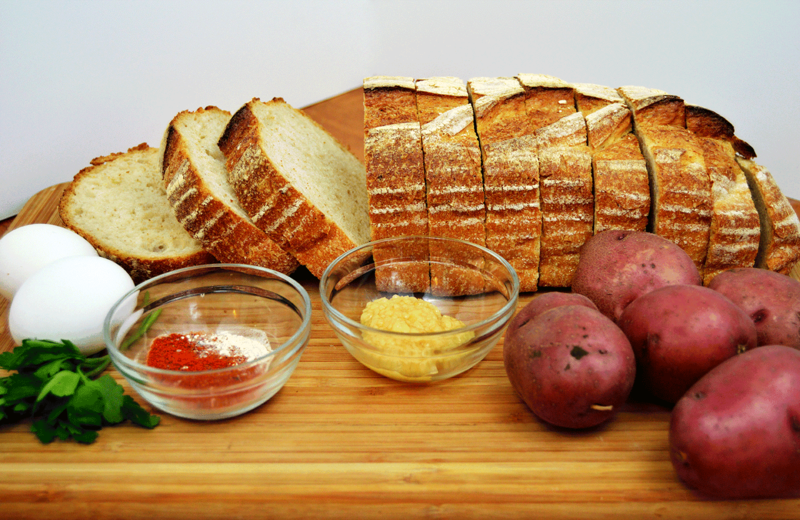 Follow The Starving Chef Recipe board on Pinterest. Don't forget to stick a pin in it!